How Much Should You Really Be Paying for Ads as an MSP, Anyway? You have to look at more than just the initial cost. 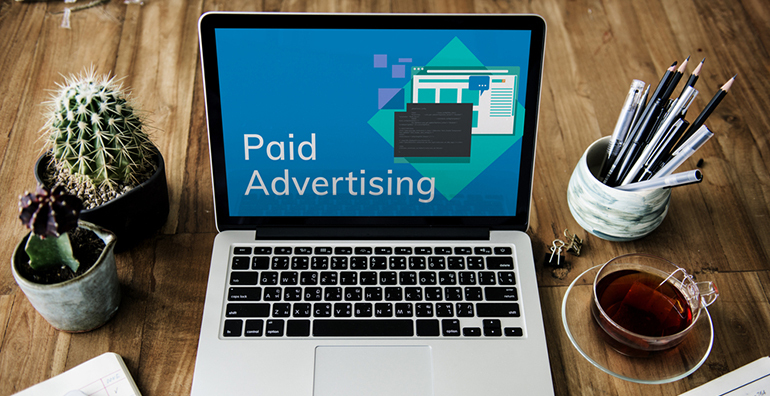 In the past, we’ve talked extensively about the idea that paid ads are not necessarily the be-all, end-all marketing solution that a lot of MSPs are looking for. I came to that opinion via years of my own, first-hand experience, and I still feel very strongly about it. However, that’s not to say you shouldn’t engage with paid ads. Far from it. It’s just that – as is true with so many other elements of your business – it should just be one of the many techniques that you use and experiment with on a regular basis. Again, that couldn’t be farther from the truth. Paid ads may not be the silver bullet you hoped they would be, but that doesn’t mean that they aren’t worth your attention — especially if you approach things from the right angle. Right now, I want you to get that sticker shock out of your head for a moment. $100 per click (or any other “large” number you want to throw out) could potentially be worth it if what you’re getting in return is even more valuable. To answer those questions, you need to keep a few key things in mind. In my opinion, far too many MSP business owners still look at the cost of advertising on a particular platform — any platform, not just paid ads — and instantly assume it’s just too expensive. But the key thing to understand is that the cost of an ad is only part of the equation. To continue with the Google Ad example, the expense expressed in terms of “cost-per-click” is actually completely irrelevant. What is relevant is your cost for each one of those clicks that actually turns into a lead and then eventually a new customer for your business. Once you know that particular number, you can then compare it to the average lifetime value of each one of your customers. At that point, you have all the information you need to know what overall level of cost you can actually afford to bear. Think about it like this: $100 is $100, but what are you getting for that money? Are you paying $100 per click for 10 clicks to generate one customer worth $300 over their lifetime? At that point, you’re paying $1000 to make $300 — hardly something worth celebrating. Or, are you paying $100 per click for 10 clicks to generate five customers worth $350 over their lifetimes? If so, you’re paying $1000 to generate $1750 — or a long-term profit of about $750 when everything is said and done. Both examples require you to spend the same amount of money and you’re working with the same cost-per-click. But one of those outcomes is positive and one is definitely not. Do you see now what I mean about sticker shock being irrelevant? You’ve recognized that you have a problem, but you’ve chosen a solution so ineffective that you might as well have done nothing at all. Generally speaking, most experts recommend a customer acquisition cost to lifetime value ratio (otherwise known as CAC:LTV ratio) of at least 1:3, meaning that you’re making at least three times more from every customer than the amount of money you spent to acquire them. But again, you need to look at your particular model. Nobody knows your business like you do. Only by plugging in that information will you know specifically how much money you should be paying for ads as an MSP. For the sake of example, let’s say that the average LTV of one of your customers is $100,000. After you crunch some numbers and calculate the costs of delivering your service, you find out that you can sustain a CAC of about $20,000. That alone should immediately change your view of what’s “expensive” and what isn’t when it comes to paying for ads. Suddenly, you have the necessary context to generate the insight you need to make an informed decision. Of that $20,000, let’s pretend that $10,000 is devoted to the sales process. Now, take a look at the cost-per-click of Google AdWords where we’re paying that $100 per click I mentioned earlier. For $10,000, you can get 100 clicks. Out of every 100 people who search Google and visit your website, do you think that your sales process is strong enough to convert at least one of them? If you answered “Yes,” then congratulations, you just found a source for marketing fuel that could be raw power for your business. If you answered “No,” your problem has nothing to do with how much you’re paying per click and everything to do with the process that unfolds after that click has been made. Provided that you know your numbers with intimate detail – including KPIs like CPC, CPA, CAC, LTV and more – you know exactly what you can and can’t afford to pay for advertising. It doesn’t have to be any more complicated than that. Will a $100 CPC generate you more than $100 in return? Yes or no — there is no gray area. In the end, however, the net benefit is actually far more beneficial than just insight. What if you made a few strategic adjustments to your website and were suddenly converting leads at 2 percent instead of 1 percent? All while still paying the same $100 CPC? That would put an extra $5,000 in your pocket for every sale – or, it would let you double what you’re spending on ads – and double the growth rate of your business as well. Examples such as these illustrate why all of these properties matter a great deal. It’s not just about spending money. It’s about tweaking your ads, managing your campaigns correctly and more, all at the same time. A series of small moves that, when taken together, add up to something much more powerful and meaningful than any one of them could on their own. So how much should you really be paying for ads as an MSP, anyway? If you’re looking for a specific dollar amount, only you can determine the answer. Now, break out your calculator and get to work. Nate Freedman is the founder of Tech Pro Marketing, a digital marketing and lead generation company for IT services businesses. He has personally helped generate thousands of leads for countless clients over the last 20 years.